Once the world’s lone superpower, America has been in a state of flux for several years. The economy seems to weaken every week, while we are in the midst of several wars that have been going on for nearly a decade. 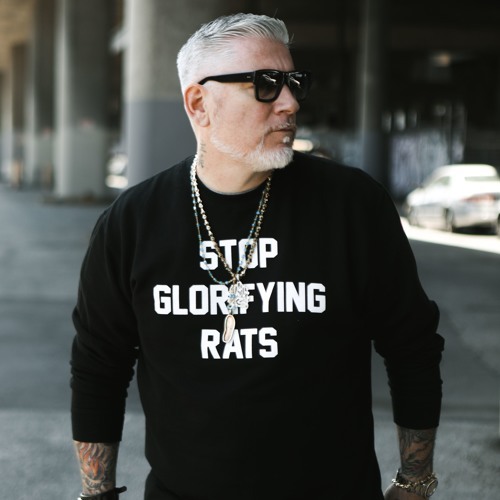 In the midst of this, Grammy-winning singer/songwriter/rapper Everlast has crafted Songs Of The Ungrateful Living, a masterful 15-cut collection that serves as a soundtrack for modern America. It’s an album that pulls from several seemingly unrelated musical and thematic corners of the country to poignantly highlight not only the bleak status of our nation and its inhabitants but also the untapped potential of both. “I just wrote a group of songs and they all started to have the theme of darkness,” Everlast says. “It’s like the ‘80s again, almost, and I’ve always liked Springsteen’s Darkness on the Edge of Town and Billy Joel’s ‘Allentown.’ I feel it’s like that again, especially today. I woke up to 600-point losses in the market. I just tap into what’s around me, but I didn’t have a title for the album for a long time. One day I was just thinking that the ungrateful living is everybody. Anybody that takes a breath probably doesn’t appreciate how much that breath is worth. I see a whole lot of people taking life and the world for granted. It’s not even a slight on anyone. It’s everyone. Me too.” To this end, the slow, brassy “Some Of Us Pray” recognizes that we can’t break everything we fix, while lead single “I Get By” documents how people try to deal with a sinking housing market, the need for employment and a lack of resources. Although the song’s protagonist barely gets by, the concept was inspired by the hyperbolic material excess celebrated in several rap songs and videos. Then there’s the sobering “Little Miss America” chronicles a fatherless household, soldiers at war and friends being left behind. The latter, in particular, was the result of some intense soul searching, reflection and interaction. “That song is a direct result of my trip to Iraq,” Everlast says. “I had written most of it in anticipation of going. I knew some cats that were soldiers and because on the last album I wrote that song ‘Letters Home from the Garden of Stone,’ a lot of soldiers have reached out to me. I’ve heard their stories so I think there’s a little bit of all of that mixed in there. It’s what America has become. She loves the paparazzi. America’s responsible for stuff like Snooki. Really? Everybody’s trying to sell their story. Say what you want to say, but when I was young, America did stuff. You could actually buy and live and eat and drive and wear everything American. It just doesn’t mean anything to anybody anymore. Now, the results of all that are starting to come in.” The repercussions of mistakes made drive the acoustic guitar-driven “Long At All,” while the heavy “Gone For Good” examines how a patriarch battles to fight his own demons while providing for his family. And with Songs Of The Ungrateful Living, Everlast again shows that he’s one of the most talented people to ever mix musical styles.